Pakistani Prime Minister Imran Khan has offered humanitarian assistance to the Islamic republic of Iran in the wake of deadly flooding that killed dozens of people. 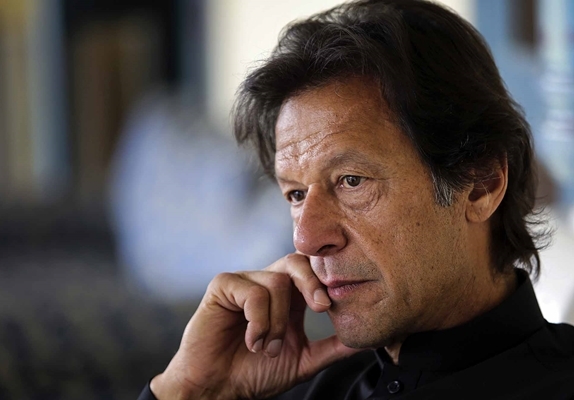 In a Tweet on Sunday, Imran Khan wrote that his prayers are with the Iranian people. He also expressed Pakistan’s readiness to provide any humanitarian assistance required. Iran moved on Saturday to evacuate more towns and villages threatened by floods after continued rain in the southwest of the country as the nationwide toll from the flooding reached 70. About 1,900 cities and villages have been affected by floods after exceptionally heavy rains since March 19. Several countries and international humanitarian bodies have so far started dispatching their aid cargos to the crisis-hit areas of Iran. A high representative of the European Union Commission said the commission is set to donate €1.2 million for the flood-hit people. Germany’s ambassador to Iran said on his Twitter account that a charter flight carrying humanitarian aid has landed in Tehran. The aid from Germany includes 40 rescue boats as well as other safety equipment. The French embassy in Tehran said given the severity of the recent floods in Iran, France is determined to contribute to efforts to cope with the disaster by delivering rescue equipment to the Iranian Red Crescent Society in the coming days. In a post on its twitter account, the embassy said the equipment includes 114 water pump, 300 cooking tools and 5,000 blankets. Switzerland Foreign Ministry also said the country will dispatch two water purifiers to flood-hit areas in Iran. Each one of the purifiers enjoys the capacity to purify water for at least five thousand people.